1933, In an election in Danzig, NSDAP members won 50% of total votes. 1935, The first flight of Willy Messerschmitt’s Bf 109 fighter took place. Powered by a 695 horsepower Rolls Royce Kestrel engine, the Bf 109 fighter was the first all-metal stressed-skin monocoque single seat fighter monoplane with an enclosed cockpit and retractable undercarriage to enter service. The Bf 109 fighter proved so successful that over 30,000 would ultimately be built before the end of the war. 1940, King Leopold III of Belgium officially surrendered unconditionally to Germany. 1942, Semyon Timoshenko ordered all offensives in the Kharkov, Ukraine region to cease, thus effectively conceding the Second Battle of Kharkov and granting victory to the Germans . When all actions were wrapped up, the Germans would count over 200,000 prisoners of war, 1,200 tanks, and 2,000 artillery pieces captured. The 2013 film Elysium offers an interesting look at a possible future of unrestrained technological development, class division and mistrust, which all stem from the relentless profiteering that capitalism is prone to. Nevertheless, the film offers a rather naive or, at best, an incompletely shown, solution within its runtime. Being a product of the politically correct movie industry, Elysium itself can also be seen as part of that same limited & deficient solution that it itself offers. Looking past these barriers we can begin to construct a more complete vision of that doesn’t merely flip the class struggle from rich-advantage to poor-advantage, rather we can build a more inclusive view of society that values all productive citizens regardless of monetary status. In the following section, Hitler asserts that Germany bumbled into war in 1914 because it was weakened from being “eaten from within” by the spread of the Jewish Marxist Doctrine. We can recognize this as exactly what we have still been going though in both Europe and North America. It is an age-old problem. Considering Hitler’s reference to Rome , it is what we’ve always been dealing with. The belief that prevailed in Germany before the war—that the world could be opened up and even conquered for Germany through a system of peaceful commerce and a colonial policy—was a typical symptom that indicated the decline of those real qualities whereby states are created and preserved. [See my previous installment ‘State and Economy.’] It also showed the decline of the insight, will power, and practical determination that belong to those qualities. The penalty for this, like a law of nature, was the World War, with its attendant consequences. To anyone who hadn’t thought deeply about the matter, this general attitude of the German people must have seemed an insoluble enigma. After all, Germany itself was a magnificent example of an empire that had been built up purely through a policy of power. Prussia, which was the generative cell of the German Reich, was created by brilliant heroic deeds, and not by financial or commercial operations. And the Reich itself was but the magnificent compensation for a leadership that conducted a policy of power and military valor. How then did it happen that the political instincts of this very same German people became so degenerate? It wasn’t merely one isolated phenomenon that pointed to this decadence, but morbid symptoms which appeared in alarming numbers all over the body politic, eating in the nation like a gangrenous ulcer. It seemed as if some all-pervading poisonous fluid had been injected, by some mysterious hand, into the bloodstream of this once heroic body—bringing about a creeping paralysis that affected rationality and the basic instinct of self-preservation. During the years 1912-1914, I wondered endlessly about those problems that related to the policy of the Triple Alliance and the economic policy then being pursued by the German Reich. Once again, I came to the conclusion that the only explanation for this enigma lay in the operation of that force that I had already become acquainted with in Vienna, though from a different angle of vision: the Marxist doctrine and worldview, and its organized action throughout the nation. For the second time in my life, I plunged deep into the study of that destructive teaching. […] I compared the theoretical principles of Marxism with the phenomena and events brought about by its activities in political, cultural and economic life. For the first time in my life, I now turned my attention to the effects that were being made to subdue this world plague. I studied Bismarck’s exceptional legislation in its original concept, its operation and its results. Gradually I formed a basis for my own opinions, one that has proved as solid as a rock. I have never since had to change my attitude toward the general problem. I also made a further and more thorough analysis of the relationship between Marxism and Jewry. In the years 1913 and 1914, I expressed my opinion for the first time in various circles—now including some members of [today’s] National Socialist movement—that the question of securing the future of the German nation is the same as the question of destroying Marxism. I considered the disastrous policy of the Triple Alliance as one of the consequences resulting from the disintegrating effects of Marxist teaching. The truly alarming feature was that this teaching was invisibly corrupting the foundations of a healthy political and economic outlook. Those who became contaminated by it frequently didn’t realize that their aims and actions sprang from this worldview, which they otherwise openly rejected. The spiritual and moral decline of the German people had long since begun. And yet, those who were affected by the morbid decadence were frequently unaware—as often happens—of the forces that were destroying their very existence. Sometimes they tried to cure the disease by treating the symptoms, which were taken as the cause. But since no one recognized, or wanted to recognize, the real cause of the disease, this way of combating Marxism was as ineffective as bungling quackery. 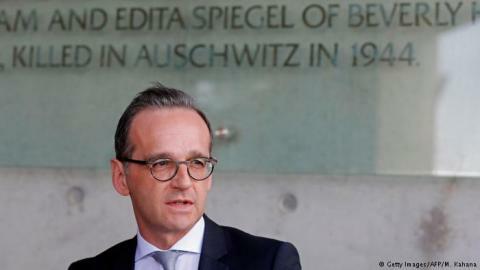 Heiko Maas, Germany’s new foreign minister, is deep into the cult of remembrance and quite willing to bow to Israel’s needs. BOTH COUNTRIES’ OFFICIAL POSITION, practically written in law, is that they have a ‘special relationship’ with the State of Israel. We all know what Germany’s ‘special relationship’ is derived from, but the USA? In my opinion, ours was totally built by Hollywood and Jewish media empires. (I think of the movie “Exodus” starring that teenage hearthrob Paul Newman which was incredibly impactful in the 1950’s.) Unless they want to say that because Truman was the first to diplomatically recognize the new state of Israel in 1948, that cemented something forever and ever. But no doubt the reason at bottom is the massive power base Jewry had established by that time in the United States. In any event, the ‘celebrations’ for the combined 70th Anniversary (since 1948) and the opening of the U.S. Embassy in Jerusalem–and the words from top officials–are all incredibly grotesque and unreal — even incomprehensible. First, though Jerusalem is not and has never been an Israeli city but is an international city, the Israeli’s feel free to shoot dead the Palestinians who are protesting the event from Gaza on the other side of a security fence that Israel put up. The last count I saw was 52 dead just in the last 24 hours, justified because Jews are protecting their 70th birthday celebration with smiling and joyous guests from around the world. That’s the best I can get from it. Can you imagine if the US shot dead Mexicans protesting and clamoring at our border wall? No, you can’t, it’s unimaginable. Now this is something that the German people have been told, now and then, but never asked if they approve or accept it for their country. They’re not asked since their elected leaders have accepted it for them because of what their forbears are accused of doing under National Socialism. This is why it seems so unreal–because it’s not talked about openly. It’s just been slid in there, and once in awhile it comes up, but always in a way that it is a foregone conclusion, a done deal, no objections allowed. Ivanka and Jared arrive in Jerusalem for the great occasion … like coming home. Our delegation to the 70th birthday & embassy-opening festivities in Jerusalem includes only stalwart Israel supporters like Senators Lindsay Graham and Ted Cruz, and Trump family members Ivanka and Jared Kushner. Our special bond is the envy of nations around the world. This bond is forged through shared history, sustained through shared interests, andimmortalized through shared principles. Well, big deal. And what shared history is he talking about? What shared interests? And bad on us if we share Israel’s principles! So that does not explain it to me. The United States stands with Israel because we both believe in freedom. We stand together because we both believe in human rights. We stand with Israel because we both believe democracy is worth defending. And the United States stands with Israel because we know that it is the right thing to do. Last week President Trump kept another promise when he announced his intention to exit the dangerous, flawed and one-sided Iran deal. So the unreality continues. It’s not comforting. I believe we need to confront the Jewish menace more directly but most are unwilling to do that. So we tread water, as the antisemitism campaigns grow in demands against our essential freedoms, and every one of our elected representatives in Congress is 100% loyal to Israel. That, however, is not allowed to come up as a campaign issue – have you noticed? Lots of people scarcely took the words for sober earnest, they saw no possibility of them being made good. Indeed how should this state of things be realised; the burdens and deprivations of the late War still weighed heavily on all the world; never had it been possible hitherto that people should neither starve nor freeze to death in winter! One might safely say that such an ideal never would have been practicable, had not a man directed affairs in Germany who knew how to bring into the sphere of practical politics that simple Christian charity one to another which the churches have been preaching throughout the ages. Hitler’s motto had long been “Love your neighbour more than yourself. Be ready, always, for the least of your own, to sacrifice your belongings and your life.“ It is known, of course, that Hitler accepts no income from his Chancellorship, but directs that this money should go towards the relief of unemployment. It may not equally well be known that during the winter 1933-34, when the sales of his book had reached the peak, the whole of this increment was also ear-marked for the poor. The Germans have a special gift for organisation. Hence it seemed eminently practical to organise the “Winter Relief Work” (Winterhilfswerk) by means of the Party machine. It was extraordinary to see how everybody took advantage of this to bring his own personal sacrifice and exertions into line with the Führer’s design and behest. No fewer than one and a half million people of position and influence threw themselves whole-heartedly into this great effort, to say nothing of the rank and file who also did their utmost and of those who willingly gave their mite. The scope of this, the biggest philanthropic effort ever made at one time by one people, was so all-embracing that, enlisting as it did the co-operation of great and small alike, it would require three times as much space at our command merely to outline it. Some idea of it, however, we must endeavour to convey for several reasons, first, to show—if it really should need showing— how and why it is that Hitler holds the trust and love of the German people as a whole; and, second, to claim for him that he lost no time at all after coming to power, in proceeding to make good the promises of his Party programme. In no smallest village in Germany, nay, in no poorest cot is something not done, something not spared, to aid this nation-wide work. During the first five years of the National Socialist regime approximately 2 310 000 000 marks were devoted to it in this way. Not, by any means, that the Winterhilfsarbeit (Winter-aid-work) could merely be appraised in terms of money. Nor could it be measured in terms of material comfort. Its value for the union and solidarity of the reawakened German spirit was above all these. Given, then, this fount of money, let us very briefly enumerate the numerous channels into which its flow was directed. Adolf Hitler called upon everyone who had a job of any sort, big or small, to set aside weekly or monthly some small saving for the poor. It was a request, not an order, for Hitler knew well enough that very many people were in no position to spare a single pfennig. All who possibly can, come forward with their “bit“ for the “Battle with Hunger and Cold.“ The directors of the whole enterprise set it an excellent example, and the rank and file willingly prove their Socialism in response. Every Sunday during the winter hundreds and thousands of collectors are to be seen selling tags in the street to the same end. Through this source alone enormous sums are gathered in, and very often other results come from these tag days. Case after case occurs of their leading to employment for the unemployed. For instance, in the Harz Mountains in Thuringia there are little towns whose inhabitants live by glass blowing. In 1933 unemployment was rife among them. So, the directors of the Winter-Aid thought it a good thing to have tags made of glass and gave this welcome order throughout the district. It resulted in months of work for three thousand poor glass workers in Thuringia. The whole „brain wave„ was so much appreciated by the public that when these glass tags appeared upon the streets there was a rush for them. In three days over twenty-five million were sold out! Could any better proof be adduced than this of how truly National Socialism concerns itself with the needs of even the smallest of the German workers? Dr. Goebbels, one of the most genial and versatile of the men round Hitler, did not fail to bring his bright wits to bear upon the problems of the Winter-Aid. He it was who conceived the idea of the „Eintopfgericht“ —the One-Pot-Dinner. Every German, especially every one blessed with a decent share of this world’s goods, is invited throughout the winter on the first Sunday of every month to restrict his main meal to extremely modest (financial) limits, to not more than about 6d., but to give over to a collector who would call for it next day the money which would otherwise have been laid out to furnish the table in the ordinary way. It is as if an Englishman saved what he would have spent on his „cut from-the-joint and two vegs.“ (to say nothing of sweets and coffee), and gave it away and contented himself with—what shall we say?—one good old plate of hash or soup instead, and nothing but that soup. All the restaurants and hotels are advised to offer on their menus for that first Sunday nothing but this one-dish-dinner, but to charge for it according to usual table d’hôte or á la carte meals. The difference, of course, is to be handed over for the Winter-Aid. The success of this original idea is enormous. Like one man the whole people takes it up. On every such Sunday over five million marks come to hand this way. Again, in this instance the good of it is not confined to mere material things. The poor see the Better-off willingly depriving themselves to help them, and the impression it makes is of the best for the conception of „national-socialism.“ Dr. Goebbels hit on the happy slogan : „Don’t spend : deny yourself.“ This goes even further. When a rich man gets up from a well-spread table, and gives something to the poor, it is good, but it is not a sacrifice. The sacrifice comes in when a man contents himself with a poor meal instead of a better one, for the sake of giving something away to the man who never feeds well. Then again—here is a splendid notion! Very often during the winter there is to be heard a cheerful bugling in the streets, and there is to be seen a truckload of soldiers slowly tooling by blowing for all they were worth. What is this? Why—rummage collecting for the needy. Whenever a hand waves, or a door opens, or someone beckons from window or corner, the truck hastens up, a couple of men leap down and run to obey the summons. Most people have something they can do without for the Winter-Aid. Here it is an old sofa—quickly handled and bestowed,—here a sewing maching—swung up atop, —here chairs needing mending, here a bundle of clothes, here oddments for repairs of all sorts, here crockery, here spare pots or pans—up and down the streets goes the truck, fanfaronading everywhere, and loading up cheerfully and dexterously like a furniture van ! Workrooms were opened for necessitous girls and women, where these second-hand things can be made over, in return for groceries and shoes. The happiest Christmas Germany had celebrated for many a long year was the first Christmas of Hitler’s Chancellorship. It was the first Christmas after these so-called heathen Nazis had come to power. Up to this time Christmas in Germany had largely been a purely family affair. The tens of thousands of those who had no family, no relatives, no home, perhaps, merely looked on from afar. Then comes the crush—the rush—the stampede to the tables where hundreds of good folk force their way to lay their gifts and offerings and contributions and goodies for the poor. Mountains of these things pile up until there isn’t an inch of room left to bestow a single gift more. Even the ground under the table and all round is cluttered with presents. When the donors have really done, and are ready to go back home again, these things are distributed to the lonely and the hungry and the friendless who gladly come forward to receive them. 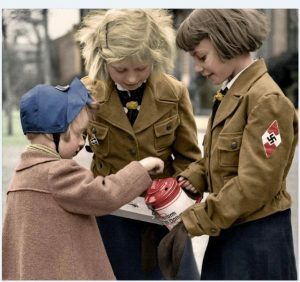 In ways like this National Socialism sought to prove itself not merely a political creed but a practical befriending of the people. Potatoes 64 000 000 cwt. Vegetables 1 000 000 cwt. Flour 5 000 000 cwt. Tinned Goods 850 000 cwt. Wood 9 700 000 cwt. The foodstuffs are not always distributed uncooked, but prepared in common kitchens, so that for the equivalent of an English twopence a hungry man can come by a real good meal. In Munich (Population c. 750 000) alone daily portions are served from fifteen great communal kitchens to no less than three thousand poor people. Over eight million of casual labourers, widows, orphans and unemployed are supported through these efforts of the people as a whole. It is a tough struggle to do it. But it was the wish of the Führer that this great work should be put in hand, that no one in Germany should starve or freeze, and everyone rejoices to help in its fulfilment. While everywhere else in Europe the melancholy spectacle is only too often to be witnessed of hunger marchers parading the streets, of the workless and the despairing losing all patience and breaking out into strife and bitter class hatred, in Germany at least Adolf Hitler has united everyone in an unparalleled gesture of fraternal charity. The winter 1933-34 passed. But the gigantic machinery of its Aid work remained, and Hitler, who could know no rest until he had given every possible demonstration of what National Socialism meant translated into terms of every-day life—Hitler looked round for the next immediate use to which it could be put. So work was immediately set on foot to relieve the terrible burdens weighing so heavily upon the poorer families of the land, and especially upon the toiling housewives. The War and its long subsequent list of privations and bitter hardships had told on this most helpless and defenceless portion of the community as heavily as on every other. This new movement in aid of womankind was at once a recognition of the bravery and suffering of the women of the terrible years gone by, and a beacon of hope for the nameless regiment of brave and struggling women of the present time. First of all the „Mother-and-Child“ Movement undertakes to unearth hidden and secret misery (in order to relieve it), to explore special areas of distress, and to do away with red tape and mistaken economies. The whole thing is to turn upon the personal and individual touch. First the mother of the family is to be supported and helped and then every one of those dependent upon her. The Mother-and-Child work sets itself very few limits. Needless to say, here again the scope of the enterprise is so wide only the briefest description of it can be given. The greatest necessity—that of nourishment—calls for the first attention. Better food is to be provided, and sufficient milk for the children. Then comes the question of clothing and adequate laundry facilities. Women with big families swarming round them all day are to receive daily outside help. The work of the „Arbeitsplatzhilfe“ —roughly translated „The Job Finding Agency” — concerns itself largely with placing out the elder children of these numerous broods in suitable posts as soon as they are fit to earn, and help themselves. The hitherto earning mothers of these families are to be enabled at once to leave factory or business and return home where their duty and their most important work obviously lies. The man it is who must be enabled to go out and work and keep the home. Through the „Wohnungshilfe „ (Dwelling-house Aid), a mighty attempt has been made to sweep away the slums and miserable areas in great cities. Either such dwellings as already exist have been improved and repaired, or entirely pulled down and rebuilt. Property owners who allow their houses to fall into bad condition, are called to account for it. The unsocial attitude of those who decline to let where there are children is sharply corrected. The Mother-and-Child Aid looks to it that poor families should have at least what furniture is barely necessary, especially beds. A special activity has been set on foot all through Germany whose slogan is “To each child his own bed.“ And these beds are collected from charitable donors in the same way as similar collections are made from house to house in the winter by the truckloads of trumpet-blowing soldiers. Another branch of this work is to provide at least four weeks’ country holiday or convalescence for mothers who stand in special need of rest and recuperation. The children are meantime to be cared for in kindergarten. For that short space, at least, the mother is to be wholly free. The home during the interval, is to be kept going by means of the „Frauenarbeitsdienst“ —the organisation which provides women’s work of this kind for just these purposes, so that the husband and father can go on having his meals as usual, without universal domestic upset, just because the main prop and stay of it all— the wife and mother—has had to go away. During the first five years of the Hitler regime nearly three hundred thousand women were enabled to take a country holiday. Within the same time over three million children were also sent to the country. Then there are schools for mothers; many of these are run by doctors who make it their business to impart all sorts of essential information about food and health in general to these poor women. They can always resort to medical advice without fear or hesitation, since nothing is more important to a nation than its mothers, its children and its health. Here, once more, we have one of the most important statements of Party undertakings. Hitler has held it of primary importance to combat unemployment by every permissible means devisable by ingenuity and ardent purpose. This nation-wide struggle postulated immense governmental preparations. It could not be tackled piecemeal and by temporary measures. The whole reconstruction was to be built up after Hitler’s own scheme and recommendations, schemes which embraced every sphere of industry, of private and public life. Not a struggle merely, but indeed a mighty campaign against unemployment was launched in Germany. Within few years the victory was obtained over decades-long misery and ever-recurring industrial crises. Every man in the country had to bear his part in this gigantic enterprise. The victory meant nothing less than a stable recovery of industry. A strong State is the guarantor of steady business. Every possible means had been co-ordinated to this end. The State provided the sinews of war for this struggle, but the German people themselves have also subscribed many millions of marks for the promotion of national industry. In 1933 the Government set aside 4,3 milliards (4 300 000 000 R.M. ), in 1934 about 5 milliards to finance schemes of work for the unemployed. Vast plans were put in hand for the making of canals, for the building of power plants. Nearly all the greater rivers of Germany were harnessed to some productive purpose. By the expenditure of one hundred million marks, one million workmen could be kept employed for an entire month. The work on the Weser, and on the Dortmund-Ems Canal kept twenty thousand men in work for years. Another gigantic canal, begun in 1933, provided work for 1 510 000 days. In the same district between Hanover and Magdeburg one hundred and ten square miles are being brought into cultivation which have hitherto been mere waste or swamp. In order to secure more land for husbandry in Schleswig-Holstein, two great dams are being con-structed across the Eider River. Thousands are thereby supporting themselves, and a plain of 225 square miles will be reclaimed. The enterprise can well be compared with that of Signor Mussolini on the Pontine Marshes. The German Government offered to meet 40 per cent of the cost to everyone who built a house or who proposed to carry out reparations and improvements. The result of this step is scarcely to be believed. The building trade, hitherto at a very low ebb, looked up and went ahead surprisingly. And consequently so have all the allied industries. Factories are at work day and night. Since the spring of 1934 not a single skilled man in the building trade was out of work. This flourishing state of affairs repercussed on the machine industry and gave work to again another ten thousand men. Hitler, himself an ardent motor mechanic, has found the way for a vast revival in the motor-car industry by entirely abolishing the tax. The number of cars on the road doubled in 1933, and is growing continually. The most important attack on unemployment, how-ever, was delivered when the building of immense new arterial roads was planned on the direct initiative of the Führer. This constitutes the biggest thing ever done yet in this direction. From four to five thousand miles of auto-roads are projected to be built in six directions right across the country. Two will run from north to south, one from Kiel via Hamburg, Bremen, the Schwarzwald to Basle, the other from East Prussia via Berlin and Munich to Vienna. Three of these great roads will run from east to west, one from Frankfurt-Oder, and the other from Breslau to the Rhineland, and one from Saarbrücken via Salzburg to Vienna. This last one is to be called the Nibelungen Road. The sixth of the whole series will run from Hamburg to Breslau. All these roads are being built on the most modern lines. They are practically all on one grade and in no way interrupted by crossings. Other roads are carried over by bridges. The entire plan requires many years to carry out. The Government has earmarked over two milliards of marks a year towards it. Whole armies of men find employment on it. The project is a proud one, for it not only resembles the great engineering feats of the Romans, but promises to change the face of the entire country for coming generations. The idea of the Work Camp (which was originally envisaged on volunteer lines, students alone being obliged to attend) also proposed fruitful means of combating unemployment. Over one thousand camps, mostly situated in the country, keep going over two hundred thousand young people at the age of eighteen. Most of them put in no more than half a year of work-service and are then free to take employment elsewhere. They go forth, furnished with certificates, to places awaiting them. Plans have been constructed whereby such an army of workers can be employed for twenty years. The produce so raised will value two milliards of marks a year, and many thousands of new peasant homesteads will be created. Naturally the work done in these camps is of a supplementary order and is not allowed to compete in the open market with work turned out under ordinary conditions outside. Nor is such work undertaken which could as well be performed by private enterprise. It is the aim and object of these camps to promote facilities for other people, i.e. by the reclamation or improvement of waste land upon which settlements can be founded. The making of new roads, of course, opened up new ground for such a purpose. The settlement building itself is never undertaken by camp workers. The latter confine themselves to forestry, projects of land reclamation from the sea, canals, irrigation and particularly all undertakings which have for their aim the prevention of catastrophic happenings, forest fires, burst dykes, floods and so forth. All this has proved of great practical utility. The young people in the Work Champs are well trained in the use of their various tools and implements, spades, pikes, shovels, etc., and can be quickly mustered and detailed for a job. Once on the occasion of a huge land-slide on the Saale (a river in Central Germany), a serious disaster was only averted by the immediate mobilisation of young navvies from the nearest Work Camp, who immediately set to work to set things to rights. Many a village has been saved from extinction by fire by the exertions of such organised workers, and immense consequent misery avoided. The campers themselves are willing and devoted enough. Each man knows that his work benefits the community at large, and that he is therefore carrying out the fundamental principles of National Socialism. Hitler’s worthy pronouncement, „There is only one nobility, the nobility of work,“ sustains these labourers through the heat and the toil of the longest day. After this parade the workers betake themselves to their various employments; the volunteers down tools at the end of a seven-hours’ spell. Then comes a wash, and the midday meal eaten, naturally, in common. The food is good and everyone can have as much as he requires. An hour and a half’s “knock-off“ ensues. The afternoon is taken up by a couple of hours of sport, and an hour’s instruction in civics. The evening is passed in singing songs, and in reading aloud, etc. etc. Two or three evenings a week each man can call his own up to ten o’clock. Tattoo is at ten: everyone must then be in quarters. The Work Camp brings all classes together. The student is set just the same jobs as anyone else. The hope is that thirty years hence there will be no more intellectuals or officials in Germany who have not passed through the school of manual work side by side with the everyday workman. **** ‘Holocaust survivors,’ which include any Jews who were alive in Europe in 1945, are exempt from the requirement to pay taxes on reparations received from Germany. There is no other exemption from income for any other Americans. Since the reparations don’t count as income, they are also not included in the calculation of benefits like Medicaid, meaning that a Jewish ‘survivor’ can have a relatively high income and still receive benefits actually intended for those who are indigent. **** Did you know there was a Special Envoy for U.S. Holocaust Survivor Services in the United States federal government? President Obama long has said that, as Americans, we must look out for each other and exemplify the values expressed in the adage – I am my brother’s keeper. That is why Vice President Biden announced last December  that the Administration is undertaking a targeted effort to support the needs of Holocaust survivors living in the United States. Jonathan Greenblatt (left, currently head of the ADL-Anti Defamation League) was Special Assistant to the President and Director of the Office of Social Innovation and Civic Participation in the Domestic Policy Council. The task of the Special Envoy was to “implement policy so that Holocaust survivors should age in place and avoid the institutional care that health providers and government services generally recommend for the infirm.” That means providing special benefits for survivors that other Americans do not receive, which includes expensive in-home care paid for by the taxpayer. **** The State Department also has a Special Envoy to Identify and Combat Anti-Semitism, which “advances U.S. foreign policy on Anti-Semitism,” whatever that is supposed to mean, as combating anti-Semitism is not a foreign policy and would not appear to be a vital national interest of the United States. President Donald Trump proposed doing away with this position when he came into office, but the Jewish Lobby raised such a fuss that Congress demanded it remain. **** Israel runs a large trade surplus with the United States because ithas free access to the U.S. market and can also bid on government contracts, a privilege normally afforded only to NATO allies. **** Washington foots the bill for more than 20% of Israeli defense spending, even allowing Israel to use American taxpayer provided dollars to buy weapons from its own [Israeli] defense industry, which competes with that of the U.S. But we don’t hear President Trump complaining about that as he complains about other countries! **** The omnibus spending bill that was signed into law on March 23 this year gave Israel additional money for its “defense” while money for the Palestinians was cut dramatically. **** Amazingly, twenty-four US states are now requiring statements pledging not to boycott Israel from those citizens and organizations that receive government funding or even seek local government employment. This is blatant government special-treatment backing of Israel’s interests. The Israel Anti-Boycott Act that is also currently making its way through the Congress would far exceed what is happening at the state level and would set a new standard for deference to Israeli interests on the part of the national government. It would criminalize any U.S. citizen “engaged in interstate or foreign commerce” who supports a boycott of Israel or who even goes about “requesting the furnishing of information” regarding it, with penalties enforced through amendments of two existing laws, the Export Administration Act of 1979 and the Export-Import Act of 1945, that include potential fines of between $250,000 and $1 million and up to 20 years in prison. 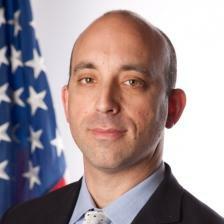 **** A U.S. government employee was actually fired for revealing information that might embarrass* the Jewish state. Doyle’s crime was to break the “legislative rule” that no federal government employee can confirm that Israel has nuclear weapons. The rule is ridiculous as the existence of the Israeli nuclear arsenal is well attested. [Recently even President Trump spoke about them.] What is okay for some is not okay for others. *The reason for acute Israeli sensitivity on its nukes is the Symington Amendment in Section 101 of the U.S. Arms Export Control Act of 1976 which bans foreign aid to any country that has nuclear weapons and has not signed the Nuclear Non-Proliferation Treaty. Which means thatIsrael’s annual $3.1 billion in aid might be in jeopardy if Washington were to enforce its own laws, though one cannot imagine that President Donald Trump or the Attorney General will take the necessary steps to do so. **** The so-called Leahy Amendment is also not enforced against Israel, even by Senator Leahy (Jewish). It prohibits the U.S. Department of State and Department of Defense from providing military assistance to foreign security force units that violate human rights “with impunity.” Israel’s numerous brutal assaults on Gaza, including the current one in which it is shooting dead unarmed demonstrators, are textbook cases for when the Leahy Amendment should be applied, but, of course, it never will be. All this favoritism and breaking of our laws is taking place at the same time that US Jews and Israel complain bitterly of victimization and demand more money, more aid, more protection, more special treatment via special laws. Something has to give here. Write to the White House and tell President Trump that you do NOT appreciate his unwavering support for Israel’s interests, but especially write to your Congress-persons and give them a piece of your mind about their consistent unanimous vote in favor of anything to do with Israel, Jews, antisemitism and holocaust. Let them know that you know that much of it is unconstitutional and they are breaking our laws. If we were organized we could bring Articles of Impeachment against some of them. Since we are totally bereft of leadership or organization, all we can do is lobby the government by making our views known. Pay attention to what your Representative is doing. Stay informed and up to date. If we can’t do that, we don’t deserve to prevail and we won’t. The deeper reasons why it was possible to foist upon the people this absurd notion of “peacefully conquering the world through commerce” lay in the generally sick condition of the whole body of German political thought. This also shows how it was possible to put forth the maintenance of world peace as a national aim. But the truth is that the state, in itself, has nothing whatsoever to do with any definite economic conception or development. It’s not a collection of contracting parties within a defined and limited space for the purpose of serving economic ends. The state is a community of living beings who have kindred physical and spiritual natures. It’s organized for the purpose of assuring the preservation of their own kind, and to help towards fulfilling those ends assigned by Providence. Therein, and therein alone, lay the purpose and meaning of a state. Economic activity is one of the many auxiliary means that are necessary for the attainment of those aims. But economic activity is never the origin or purpose of a state—except where it has been founded on a false and unnatural basis. And this alone explains why a state per se doesn’t necessarily need a certain delimited territory. This becomes necessary only among those people who are ready to carry on the struggle for existence by means of their own work. People who can sneak their way into the human body politic and, like parasites, make others work for them, can form a state without possessing any specific territory. This is chiefly applicable to that parasitic nation which, today more than ever, preys upon the honest portion of mankind: the Jews. The Jewish State has never been delimited in space. It has been spread all over the world, without any borders whatsoever, and has always been constituted by only one race. That’s why the Jews have always formed a State within a State. One of the most ingenious tricks ever devised has been to make this state sail under the flag of ‘religion,’ thus assuring it of the religious tolerance that Aryans are always ready to grant. But the Mosaic religion is really nothing else than the doctrine of the preservation of the Jewish race. It therefore takes in all spheres of sociological, political, and economic knowledge that have any bearing on this function. The instinct for the preservation of one’s own species is the primary causethat leads to the formation of human communities. Hence the state is a racial organism, and not an economic organization. The difference between the two is so great as to be incomprehensible to our contemporary so-called ‘statesmen.’ That’s why they like to believe that the state may be constituted as an economic structure, whereas the truth is that it has always resulted from the will to preserve the species and the race. Individual sacrifice is necessary in order to ensure the preservation of the race. Hence, the most essential condition for the establishment and maintenance of a state is a certain feeling of solidarity, one grounded in an identity of character and species, and in a willingness to defend these at all costs. For a people with their own territory, this results in a development of the heroic virtues. With a parasitic people, it will develop the arts of subterfuge and malignant cruelty […]. The qualities that are employed for the foundation and preservation of a state have therefore little or nothing to do with economics. And this is clearly demonstrated by the fact that the inner strength of a state only very rarely coincides with its economic prosperity. On the contrary, there are many examples showing that such prosperity indicates the approaching decline of a state. If it were correct to attribute the foundation of human societies to economic forces, then the power of the state would be at its peak during periods of economic prosperity, and not vice versa. Whenever German political power was particularly strong, the economic situation also improved. But whenever economic interests dominated the life of the people, and pushed transcendent ideals into the background, the state collapsed; and economic ruin followed soon thereafter. If we ask about those forces that are necessary for the creation and preservation of a state, we find them under one single heading: The capacity and readiness of the individual to sacrifice for the common welfare. [This doesn’t happen in a multi-racial or multi-ethnic community as in the U.S. today.-cy] That this has nothing at all to do with economics can be proved by observing the simple fact that man doesn’t sacrifice himself for material interests. In other words, he will die for an ideal, but not for a business. As long as the German people, in 1914, continued to believe that they were fighting for ideals, they stood firm. As soon as they were told that they were fighting only for their daily bread, they began to give up the struggle. Our clever ‘statesmen’ were astounded at this change of attitude. They never understood that as soon as man is called upon to struggle for purely material causes, he’ll avoid death as best he can: clearly, death and the enjoyment of the material rewards are quite incompatible. The frailest woman will become a heroine when the life of her own child is at stake. And only the will to save the species and the hearth—or the state that protects them—has, in all ages, compelled men to face the weapons of their enemies.